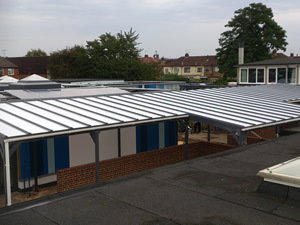 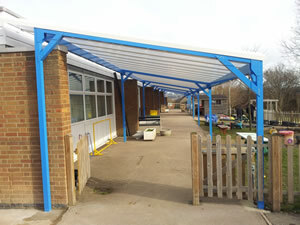 In response to clients request we now provide possibly the widest range of mono pitch canopies available. 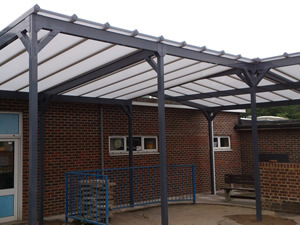 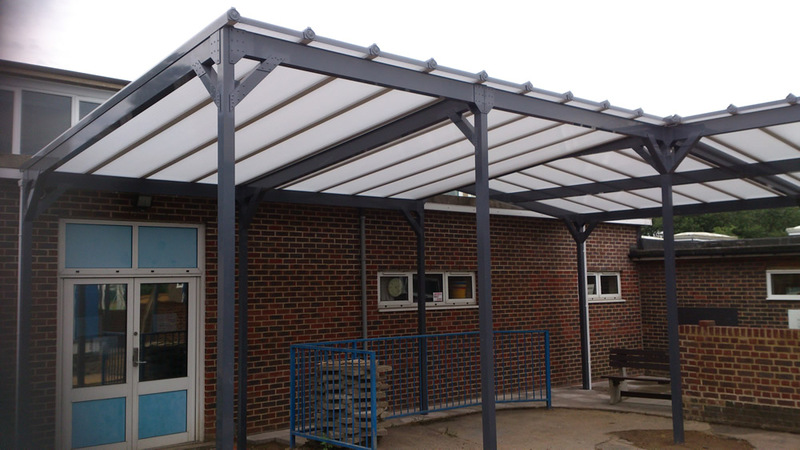 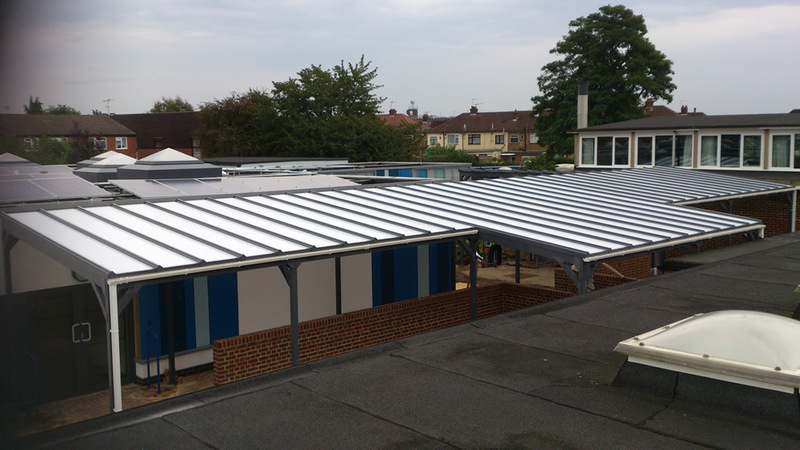 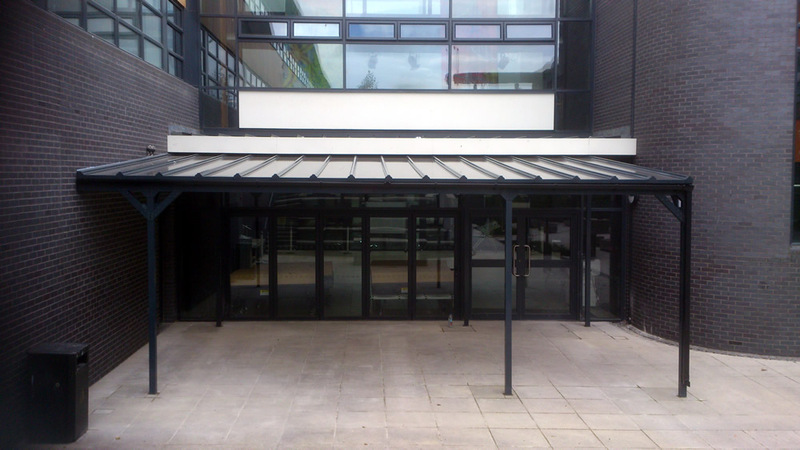 Our Cambridge canopy range consist of structural aluminium columns and cross-beams. 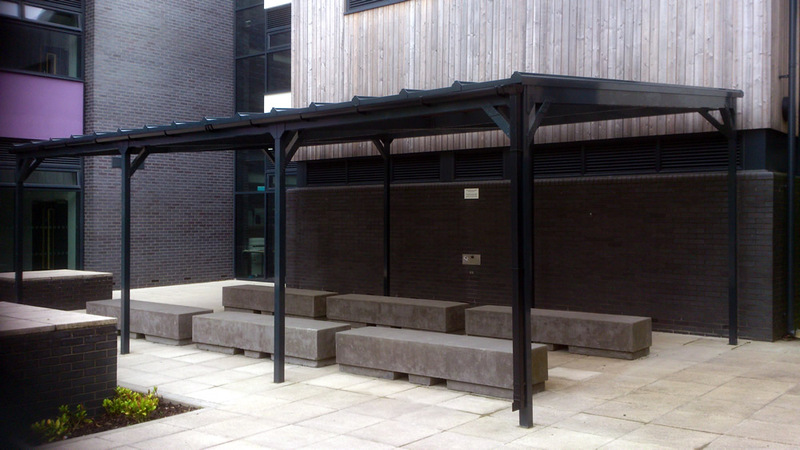 Fixed to an existing wall or freestanding, they can be powdercoat finished to your colour of choice. 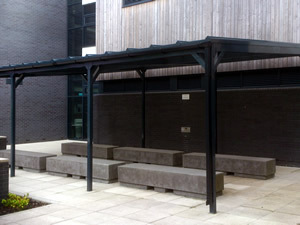 Wall plated, they can up to a massive 6m projection out from wall by whatever length required. 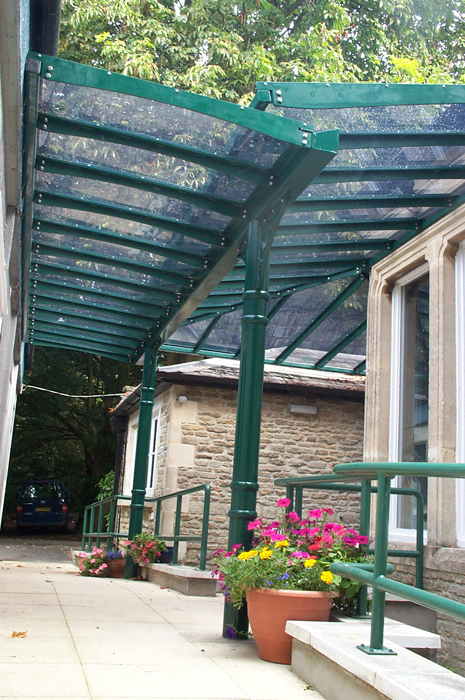 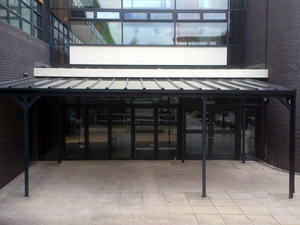 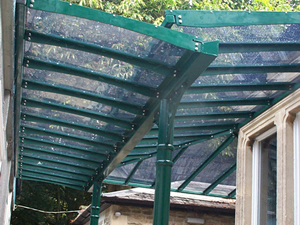 We provide modern or Victorian style canopies glass roof or clean look multi wall polycarbonate roofing.